More than 80 inches of snow has fallen at Michigan International Speedway this winter. And with just a week to go before NASCAR’s fastest track opens its gates for a Goodyear Tire Test, MIS President Roger Curtis decided it was time to call in the big guns to melt ice and snow from the track. 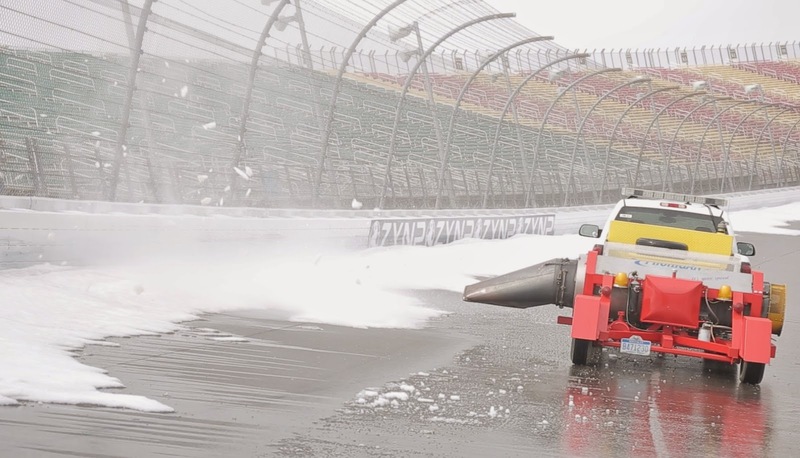 Michigan International Speedway maintenance crews used old-fashioned know how Monday, enlisting the help of jet dryers to melt snow drifts and sheets of ice on some areas of the racing surface. The ice was several feet thick in some places, especially in shaded areas of the track. And while temperatures are expected to be warmer this week and next, it was important to get a jump on melting the ice before cars test. The jet dryer was first used in the early-70s to melt snow at Michigan International Speedway. It evolved to eventually be the primary means NASCAR used to dry racetracks after rain-delays. Today, jet dryers have been replaced by NASCAR’s new Air Titan 2.0 technology. Curtis said he expects all the snow and ice will be gone by next week. The brother-in-law of six-time NASCAR Sprint Cup Series champion Jimmie Johnson was killed Sunday in a skydiving accident near San Diego. Jordan Janway was killed after apparently suffering a midair collision with his jump partner and being rendered unconscious and unable to deploy his parachute. 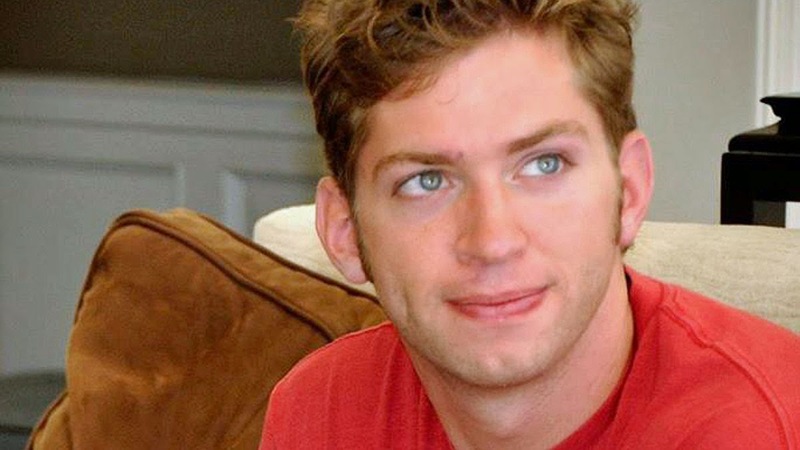 Janway, 27, was the younger brother of Johnson’s wife, Chandra Janway Johnson. A statement on Jimmie Johnson’s website confirmed Janway’s passing today, saying, "The Johnsons are saddened by the tragic passing of Chandra’s brother, Jordan Janway. Jordan was an incredible son, brother, uncle and friend and will be dearly missed. Please keep the Janway family in your thoughts and prayers. The family asks for privacy at this time." NBCSanDiego.com reported today that Janway, an experienced skydiver with more than 1,000 successful jumps, was training fellow employees of Skydive San Diego, practicing a maneuver called “tracking” when he collided with his jump partner. Each diver’s parachute bag includes a chip that deploys the chute automatically if a jumper’s descent exceeds a certain rate of speed. However, as an experienced skydiver, Janway was not required to carry a chip, and elected not to do so. He was reported missing at approximately 4:30 p.m. Sunday and his body was discovered less than an hour later. The other involved jumper was uninjured. San Diego County sheriff's deputies are investigating the incident. Kurt Busch broke a 12-year Martinsville Speedway winless streak in the STP 500 Sunday, returning to Victory Lane for the first time in 83 NASCAR Sprint Cup Series starts and authoring the latest chapter in his ongoing story of personal redemption. 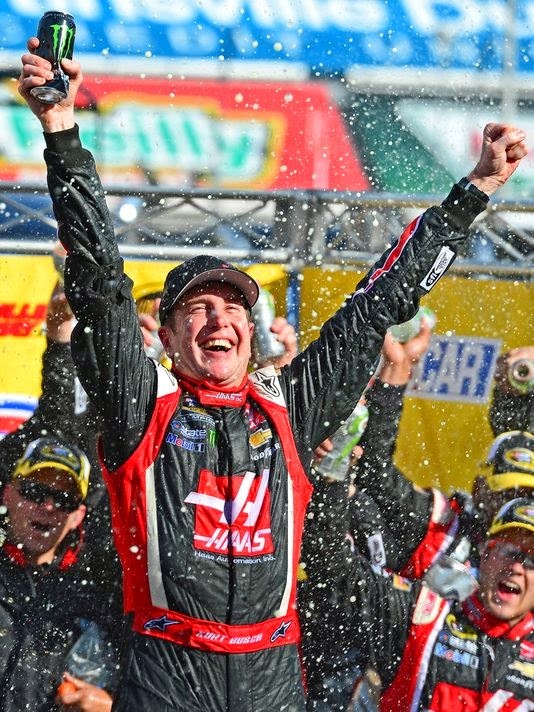 Busch’s victory did not come without its challenges. Nothing ever does for the 2004 NASCAR Sprint Cup Series champion. He and Brad Keselowski tangled on pit road in the race’s early laps, after Keselowski ran into the back of Kasey Kahne’s slowing Chevrolet. “I started to check up and just barely got in the back of (Kahne),” said an angry Keselowski afterward. “Kurt just accelerated and drove through us, absolutely drove through us. (He) tore the whole suspension off the car, so it won’t turn, it won’t do anything. Keselowski and Busch have seldom seen eye-to-eye, even as teammates during Keselowski’s 2010 rookie season at Penske Racing. Busch criticized his teammate at the time, calling him “rough edged” and accusing him of not providing feedback the team needed to improve. Those comments echoed long after Busch left the team in a maelstrom of controversy the following season, and Sunday, Keselowski reacted angrily to what some viewed as a run-of-the-mill case of pit road contact. He returned to the track after lengthy repairs and immediately went after Busch, leaving the No. 41 Haas Automation Chevrolet with tire marks down its entire right side. 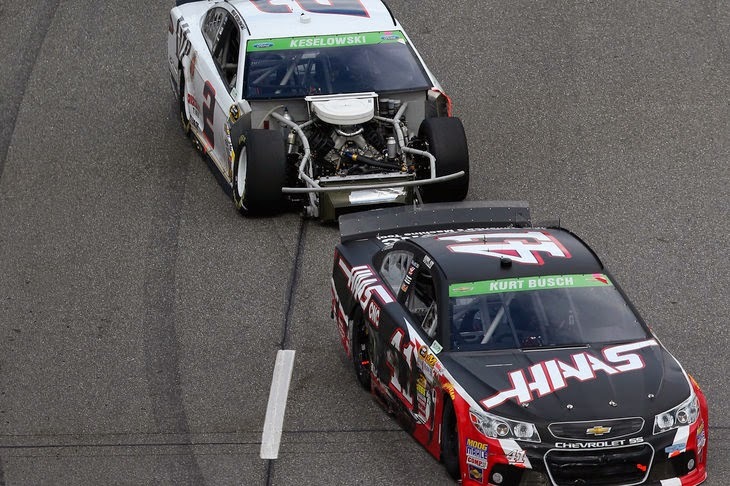 In the past, those altercations would have derailed Busch mentally and ended his chances of winning the racer. Sunday, however, the Stewart Haas Racing driver kept his cool and maintained his competitive focus, displaying what longtime girlfriend Patricia Driscoll later termed “clarity of mind.” There was no lengthy, obscenity-laced radio tirade -- though Busch did promise to "go #@$%& that dude's face up" -- no temper tantrum and no time wasted on thoughts of revenge. Busch passed Johnson with 10 laps to go. Displaying none of his former petulance, Busch kept his eyes on the prize, working with his team to fine-tune his race car and beginning a climb back through the pack that ended with an unlikely trip to Victory Lane. Keselowski responded in kind, saying Busch “does awesome things for charity and he's probably the most talented race car driver. “He's also one of the dumbest." Post-race posturing notwithstanding, however, Busch displayed a level of maturity and restraint at Martinsville Speedway yesterday that has not often been seen during the 14 Sprint Cup Series seasons that preceded it. Apparently, two years spent rebuilding his competitive stock and resurrecting his off-track reputation at Phoenix Racing and Furniture Row Racing have been time well spent. Richard Petty Motorsports celebrated the life of Mrs. Lynda Petty Sunday, paying tribute to the matriarch of the Petty family by claiming a pair of Top-10 finishes in the STP 500 at Martinsville Speedway. Marcos Ambrose and the No. 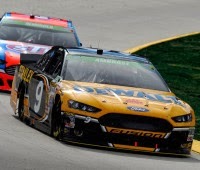 9 DEWALT Ford team finished fifth, while Aric Almirola raced the famous STP colors and the No. 43 Ford to an eighth-place finish. The results marked the 100th and 101st Top-10 finishes in RPM's relatively short history. In 516 starts with seven different drivers since 2009, RPM has averaged a Top-10 finish every five races. Ambrose and Almirola account for 41 of those Top-10s, and have finished in the Top-10 four times this season. Ambrose was especially strong Sunday, leading a total of 22 laps. "We spent a lot of money and a lot of effort in getting Richard Petty Motorsports back on the map and I think you're seeing the results," said Ambrose. "We've been fast for about four weeks in a row and we're just starting to hit our stride. We're going to win one of these soon, lock ourselves in the Chase and feel good about our chances. “We've had a really tough week (after) we lost Miss Lynda,” he said. “We really wanted to win for (the Petty family), but we'll take a Top-5. Our guys had their best day on pit road in a long time and Drew Blickensderfer and Derek on the pit box made great calls late in the race. If we would have had another round of pit stops, we might have had something for them." As RPM closes out the month of March, Ambrose is currently 14th in the championship standings and in position for a Chase birth. Almirola has rebounded after a costly wreck at Auto Club Speedway in California last week, and is only 20 points out of the Top-15 in championship standings. This is the best start since the ownership of Richard Petty, Andrew Murstein and Doug Bergeron took control of the company. NASCAR Camping World Truck Series qualifying has been rained out this morning at Martinsville Speedway. As a result, the field for this afternoon’s Kroger 250 will be set by combined practice speeds from Friday afternoon. Darrell Wallace Jr. will start on the pole after posting the fastest practice time. Wallace won here at Martinsville in October, after starting third. 1 54 Darrell Wallace Jr.
5 30 Ron Hornaday Jr.
30 56 Raymond Terczak Jr.
Jeff Gordon summed up his long record of success at Martinsville Speedway today in just six words. The Hendrick Motorsports driver is an eight-time winner at Martinsville, along with recording 27 Top-5 and 34 Top-10 finishes in 42 career starts. Those numbers rank him among the best ever at the Virginia short track, and the credit, said Gordon, goes to his team. “Hendrick has always given us great cars, even when I started coming here,” he said. “I found something that worked for me and not a lot has changed (over the years). This weekend is the most drastic change I have seen in a long time, because of the new ride-height rules. But for the most part, not a lot has changed as far as how the cars are set up and how you drive the track since I first started coming here. Gordon said new 2014 rules have changed some of the particulars on his race car’s set-up, and also impacted the way he drives the car. “Whether it’s rolling out of the brakes sooner, getting on the gas sooner or harder, or not slowing the car down as much getting in the corner… usually the grip of the car tells you that. You are constantly seeking the limit of the car and finding that edge. There is more grip in the car because of the spoiler and ride heights, (but) nothing has changed. 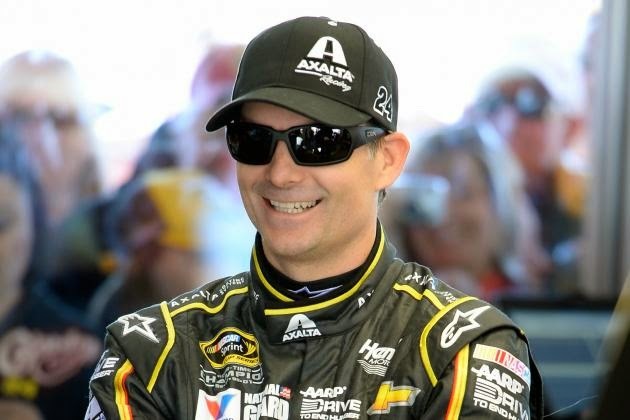 Still seeking his first win of the 2014 season, Gordon said he is anxious to make it to Victory Lane and punch his ticket to the Chase. 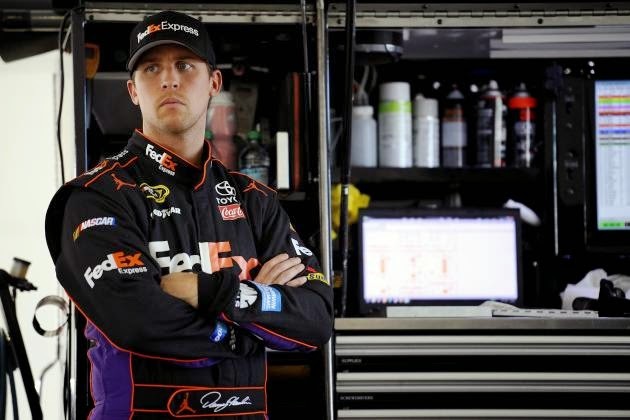 Defiant Hamlin Says "My Health Is My Business"
Denny Hamlin explained today why the ailment that sidelined him from last Sunday’s race at Auto Club Speedway took so long to clarify. In short, it’s none of your business. Joe Gibbs Racing announced Sunday that the Fed Ex Toyota driver would not compete in the Auto Club 400 due to sinus-related vision problems. After four days of uninformed and sometimes malicious speculation, JGR revealed this week that Hamlin’s malady was no more serious than a sliver of metal in his eye. Hamlin said the metal was removed from his eye on Monday, but that rust surrounding the wound could not be extracted until it hardened two days later. “I didn’t want to be speaking out of line and not know exactly what I’m talking about,’’ said Hamlin. “We didn’t know until Wednesday. I don’t need to justify a lot to a lot of people. The important people are NASCAR and my team guys. Hamlin then lambasted rumors that his absence from last Sunday’s race was due to a more serious medical condition, or even drugs. Hamlin said that while he is a public personality, he does not deserve the sort of harmful scrutiny he received this week. “I go to Bobcat games,” he said. “I go out and hang out with friends in public. I don’t stay tucked in my motorhome (and) I don’t stay tucked into my house. It’s not what I like to do. Because I’m out there a little bit, people think I go out and I party. “I don’t drink hardly at all (and) I’ve never done drugs. I’m as clean as they come. I don’t know why people question who I am outside the racetrack, because I worked too hard to get here… to throw it all away. 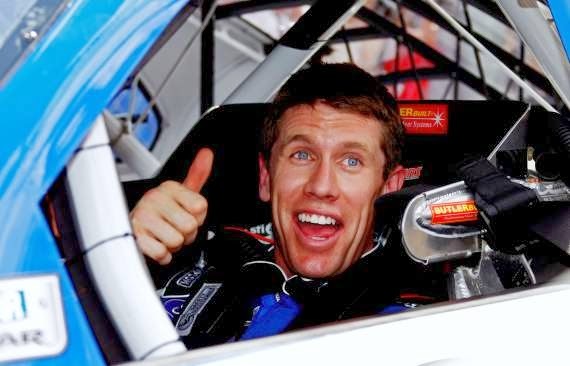 With a win to his credit two weeks ago at Bristol Motor Speedway, Carl Edwards said today that he comes to Martinsville Speedway more confident than ever before. Despite a mediocre track record at the Virginia oval, the Roush Fenway Racing driver said he enters the weekend with confidence. While Roush Fenway Racing has never prospered at Martinsville Speedway, Edwards said the organization got an eye-opener last season when Matt Kenseth contended for the win. “At first, it was a little embarrassing for our whole company.” He admitted. “It’s like, ‘Man, we need to do a better job. All of us do.’ But then (Robbie) Reiser and I talked about it, and it was the best thing that could happen for us. It reminds us that we can do it. “I can’t speak for Matt, but listening to him talk, I don’t think he thought he was very good at Martinsville. That’s how I felt for a long time, but seeing him do (what he did) made me realize that maybe I am able to do it. Edwards also admitted studying tape of rivals Jimmie Johnson and Jeff Gordon, hoping to gain an edge that could carry him to Victory Lane Sunday. Edwards added that he is anxious to secure a second win as soon as possible, since he believes more than 16 drivers will visit Victory Lane in the first 26 races. “It feels that way,” he said. “It feels like there are more competitive cars. The disparity throughout the field is smaller between the cars, so it’s not just the win that has us feeling like we can be aggressive. It’s our points position. “If we were 20th in points right now, we would feel a lot different,” he said. “If we were to have trouble the next couple weeks and fall in points, we would go back to racing more conservatively, so that we didn’t fall any farther. I feel like if we can go another month or month-and-a-half and we’re still leading the points or close, we’ll be locked in. The easiest way, though, is to just go win another race. Edwards also expressed happiness with NASCAR’s new Chase system, saying, “I was one of the biggest skeptics of the point system and the changes to the car and all of that stuff, but it’s really proven to be better. I hope it continues for the rest of the season. Four months after Kevin Harvick and his wife DeLana awakened to the sound of their home’s smoke detector, the driver of the No. 4 Budweiser Chevrolet SS visited the Oak Ridge (NC) Fire Department to thank the firefighters that helped saved his home. 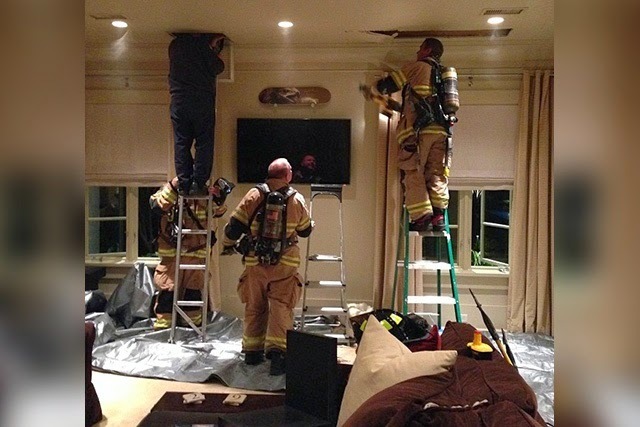 Members of the Oak Ridge Fire Department were dispatched to the Harvick family’s home in the early morning hours of November 27, 2013. With the help of thermal imaging cameras, the unit was able to locate the fire, which was located between the basement ceiling and main level of the house. In addition to this week’s firehouse visit, Harvick and the No. 4 Budweiser Chevrolet team will host five members of the Oak Ridge Fire Department at Sunday’s NASCAR Sprint Cup Series race at Martinsville (Va.) Speedway. Chief Simmons and four additional firefighters will serve as honorary crew members in appreciation of their efforts last November. The No. 4 Budweiser Chevrolet will also carry a special decal this weekend to recognize the members of the Oak Ridge Fire Department who responded to the emergency call. The decal features the Oak Ridge Fire Department’s badge and the words “Smoke detectors save lives.” It will be located on the C-post of the car. Harvick and his family are currently living with his mother-in-law, Joyce Linville, in nearby Kernersville, N.C., while repairs continue on their primary residence. NASCAR introduced the Toyota-hauled next generation of Air Titan today at Martinsville Speedway. Air Titan 2.0 is a more compact, more nimble and more environmentally friendly version of its predecessor; one that since its introduction in February 2013 has rescued multiple races, including this year’s Daytona 500. 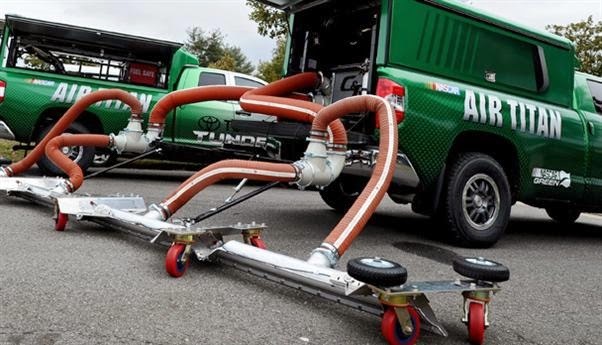 Air Titan 2.0 replaces the bulky support vehicles required by Air Titan 1.0 with a single, self-contained unit perched on the bed of a Toyota Tundra pickup. By addressing the size of the power source, NASCAR now has the ability to deploy up to 21 units simultaneously at larger venues and operate more efficiently on smaller tracks. 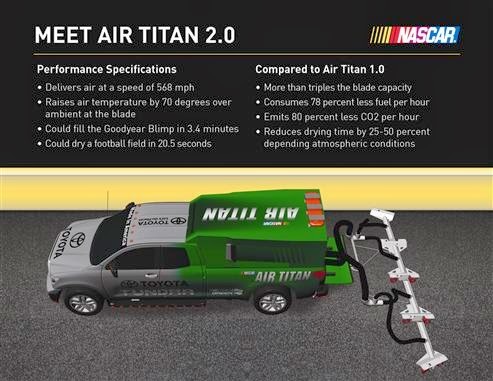 The Air Titan 2.0 more than triples the blade capacity of the original version, delivers 2.6 times more air volume at a speed of 568 mph and raises the air temperature by 70 degrees over ambient. With the combination of water removal and accelerated evaporation, the ultimate goal is to reduce track-drying time by 80 percent. Air Titan 2.0 will consume nearly 80 percent less fuel and emit 80 percent less carbon dioxide. It will work in conjunction with the Eco-Infused Elgin Track Vacuum/Sweeper and existing jet dryers. In coordination with the roll out of the Air Titan 2.0, Elgin has now become the Official Sweeper of NASCAR Green. In 2012, France challenged the NASCAR R&D Center to develop a system to significantly reduce track-drying time to enhance the fan experience. The initial Air Titan configuration debuted during Daytona Speedweeks in 2013. Five NASCAR Sprint Cup Series teams completed a rain-dampened two-day Goodyear tire test at Sonoma Raceway yesterday. Intermittent rain fell at the raceway both Tuesday and Wednesday, but Marcos Ambrose, Kyle Busch, Jeff Gordon, Tony Stewart and Brian Vickers were able to log approximately nine hours of track time over the two days. The two-day test marked the first Goodyear Sprint Cup Series tire test of the year, and is currently the only scheduled road-course test. Goodyear worked closely with the teams and drivers to develop a durable race package while giving teams the appropriate amount of grip. 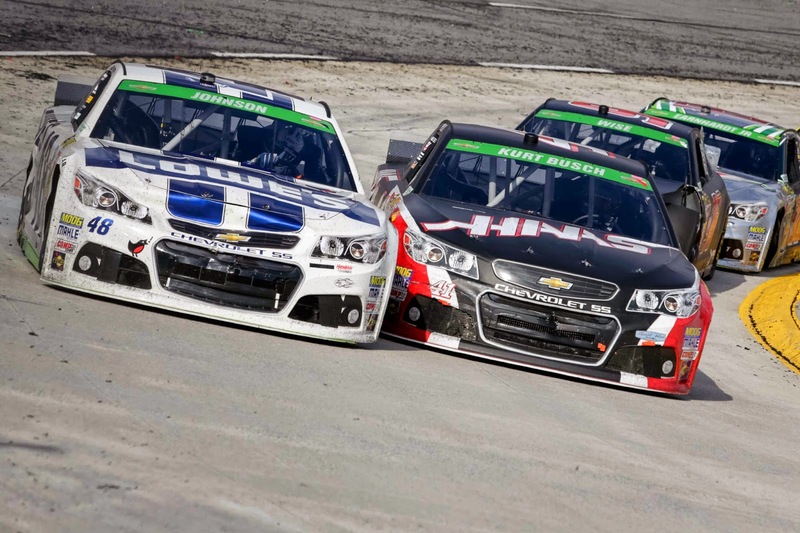 NASCAR returns to Sonoma Raceway June 20-22 for the Toyota/Save Mart 350. For more information, visit www.RaceSonoma.com/NASCAR or call 800-870-RACE. Joe Gibbs Racing driver Denny Hamlin will race this weekend at Martinsville Speedway, after NASCAR received official confirmation from his doctors that he has been medically cleared to return to regular racing activities. Hamlin first visited the infield care center at Auto Club Speedway Saturday night, bothered with an irritation in his eye. He returned to the Infield Care Center again on Sunday morning because his condition had worsened. It was at this time that it was determined by the medical team onsite that he would not be allowed to race due to a sinus infection that was impacting his vision. The doctors at the Care Center referred him to the local hospital for further evaluation. During the evaluation at the hospital. a small piece of metal was also found to be in Hamlin’s eye. Doctors were able to remove the sliver of metal and Hamlin felt immediate improvement to his condition. A CT Scan did not find any other complications and thus it is believed that the metal was actually the source of Hamlin’s vision issues. He was released from the hospital Sunday afternoon and was given the doctor’s approval to fly home. 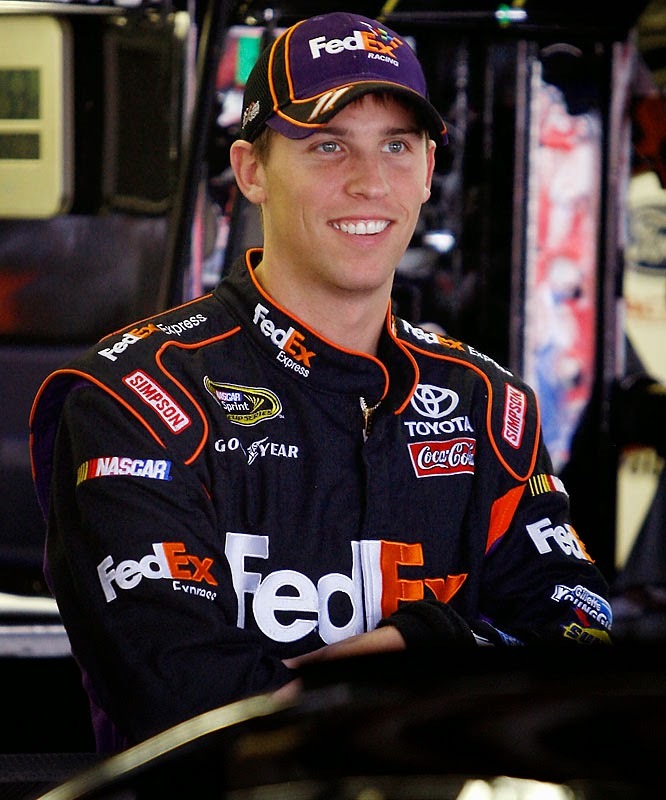 Hamlin was then evaluated by a doctor in the Charlotte area on Monday and was sent home to rest. He was instructed to return Wednesday for a follow-up examination. Following today’s examination, his doctors provided the necessary approval for Hamlin to resume all racing activity without restriction. NASCAR has received official confirmation from his doctors clearing him to resume racing this weekend at Martinsville Speedway. 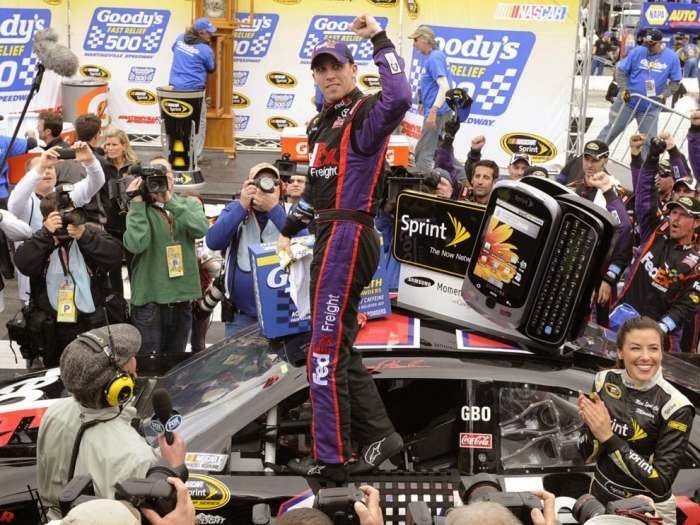 Hamlin is scheduled to meet with the press in the media room of Martinsville Speedway this Friday at 2 PM ET. Circle Sport announced today that that NASCAR veteran David Stremme will return to the NASCAR Sprint Cup Series this weekend at Martinsville Speedway in Martinsville, Va., driving the No. 33 Mace Chevrolet in Sunday's STP 500. Mace is a manufacturer and provider of personal defense, safety and electronic security products for home, school, business and law enforcement use. "I am excited to return to racing in the Sprint Cup Series," stated Stremme. "The Circle Sport team has done a great job in building their race program and the success of the No. 33 car. And to be able to partner with Mace Brand and their charity initiatives this week makes it even more special. They support very worthy organizations which falls in line with what I have been involved with in my years of NASCAR racing. I look forward to a very successful weekend with this No. 33 Mace Chevrolet." Stremme has 340 starts in NASCAR's top three Series with 190 starts in the Sprint Cup Series. He last raced for Swan Racing in the Sprint Cup Series during the 2013 season. Mace formed the Mace Cares program in 2013 as a way to provide support and assistance for individuals at risk throughout our communities. In recognition of this program, the sponsorship will feature ribbons on the No. 33 Chevrolet honoring the National Center for Victims of Crime, Casting for Recovery and The Centers for Families and Children. "We are honored to represent Mace in their first involvement in NASCAR," added Circle Sport owner Joe Falk. "They are a tremendous company and their support of great causes and desire to feature them on the car shows you what kind of people they are. 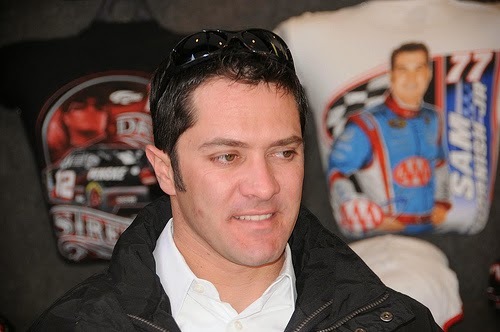 We are also excited to welcome David Stremme to the team and his past involvement with like-minded charities completed the perfect match for us. We look forward to a strong showing on Sunday in Martinsville and showing the Mace folks what NASCAR is all about." The No. 39 team that competes in the NASCAR Nationwide Series has been penalized as a result of a rules violation committed during last week’s event at Auto Club Speedway. During post-race inspection on March 22, the No. 39 car driven by Ryan Seig incurred a P3 level penalty by violating Sections 12-1 (actions detrimental to stock car racing) and 20A-12.8.1C (car exceeded maximum rear body height requirement during post-race inspection) of the 2014 NASCAR rule book. As a result, crew chief Kevin Starland has been fined $10,000 and placed on NASCAR probation until Dec. 31. In addition, car chief Timothy Brown has also been placed on NASCAR probation until Dec. 31. Lynda Petty, wife of NASCAR Hall Of Famer Richard Petty and matriarch of stock car racing’s most legendary family, has passed away today at the age of 72. 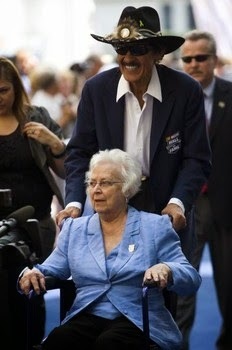 Lynda Owens and Richard Petty were married on July 22, 1958, while she was a 17-year old High School student and he was in the earliest days of his stock car racing career. They eloped to South Carolina and kept their marriage a secret for three months, until Richard could raise enough money to afford a proper wedding ring. As Petty’s driving career flourished, he and his young wife agreed on a division of responsibility that held for the remainder of their lives. Richard ran the race team and Lynda ran the household. It was a role Lynda willingly accepted, even when required to be the disciplinarian of the family. “Ask Kyle, ‘Did your daddy ever whip you?’ and he’ll say, ‘No, but my mother wailed the daylights out of me,’” said Lynda in that 2009 interview. “I disciplined (the children) and never even bothered Richard with it. I took care of them and they loved him to death. Lynda was diagnosed with a brain tumor and cancer of the central nervous system in 2010, and while she eventually beat the cancer, the treatments took a heavy toll. She suffered numerous small strokes in recent years which severely impacted her mobility, memory and quality of life. Daughter Lisa Petty Luck said her parents maintained a deep bond, even as Lynda’s health failed. Lynda Petty leaves her husband of 55 years and four grown children; NASCAR driver-turned television analyst Kyle Petty, Sharon Petty Farlow, Lisa Petty Luck and Rebecca Petty Moffit, in addition to 12 grandchildren. A private memorial service for family and friends will be held at Reverie Place in Randleman, North Carolina which Pastor Kenny Crosswhite will officiate. In lieu of flowers, donations can be made to the Petty Family Foundation, 311 Branson Mill Road in Randleman, N.C. 27317. A public memorial service will not be held and the family asks for privacy at this time. The family offered a statement to the public, saying, "We wish to sincerely thank everyone who has supported us and our family throughout the years and at this time. We will forever love and miss a wife, mother, grandmother, great grandmother and friend." 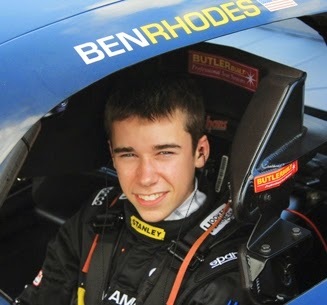 Turner Scott Motorsports has announced that Ben Rhodes will run five NASCAR Camping World Truck Series races during the 2014 season in the No. 32 Alpha Energy Solutions Chevrolet Silverado, beginning at Martinsville Speedway. The 17-year-old is currently competing full time in the NASCAR K&N Pro Series East for TSM and has received three pole awards and one win in four starts this season. A native of Louisville, Kentucky, Rhodes made his TSM debut last year when he ran a partial NKNPSE schedule and received two Top-5 and five Top-10 finishes in seven starts. 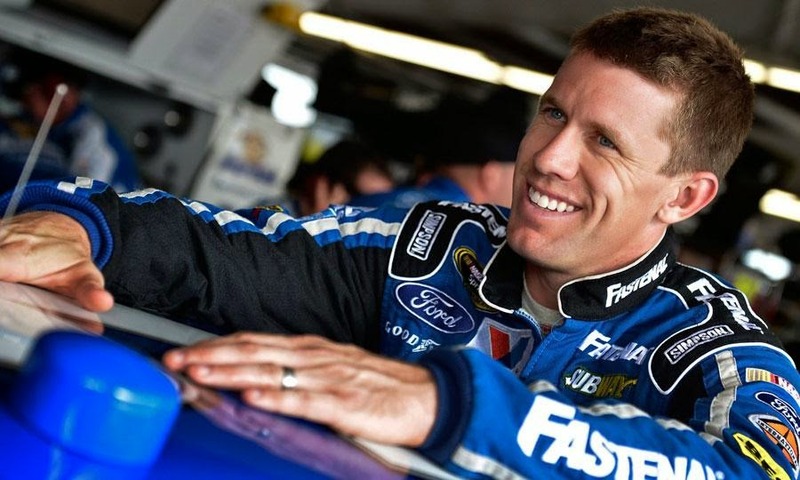 He was also selected as a member of the 2013 NASCAR Next class, a select group chosen by the sanctioning body that spotlights NASCAR’s rising stars with the most NASCAR Sprint Cup Series potential. Most recently, Rhodes claimed his first NKNPSE victory at Greenville-Pickens Speedway. AT LAST! A Grand Marshal For The Ages!